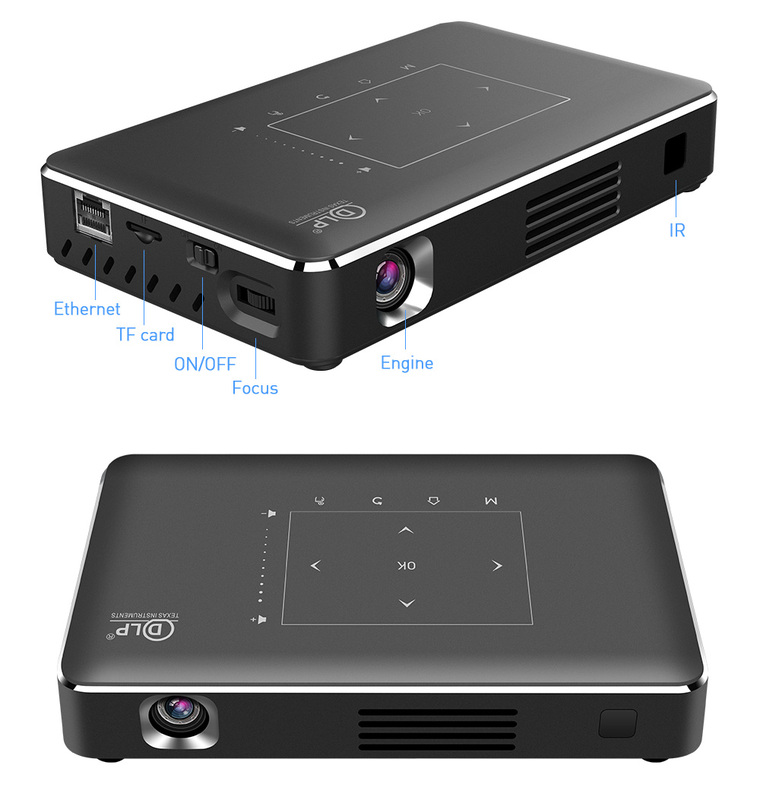 The projector uses DLP display technology, HD 4K decoding with 200 inch giant screen. 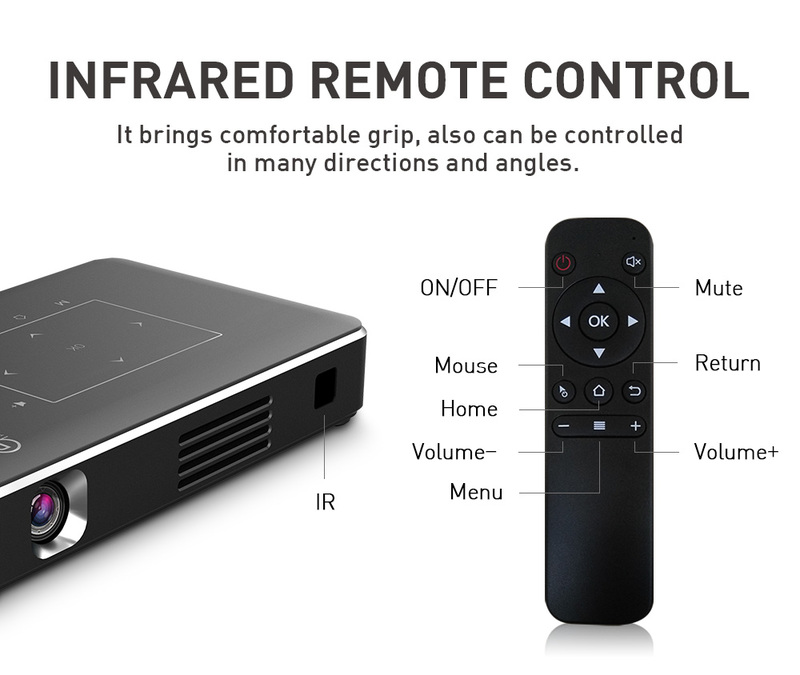 You can watch movies comfortably at home. 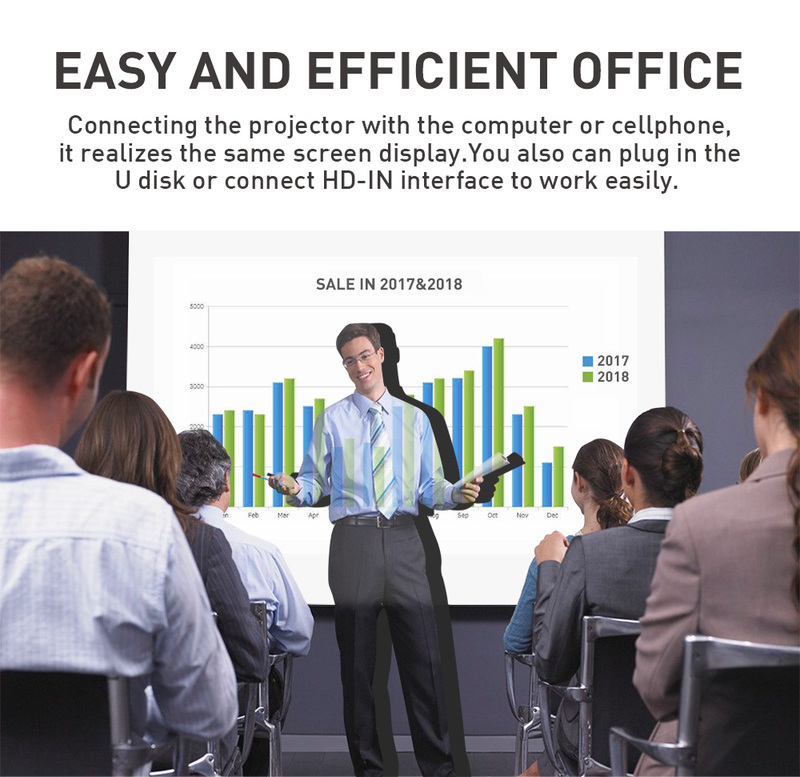 You can experience 200 inch picture without screen. 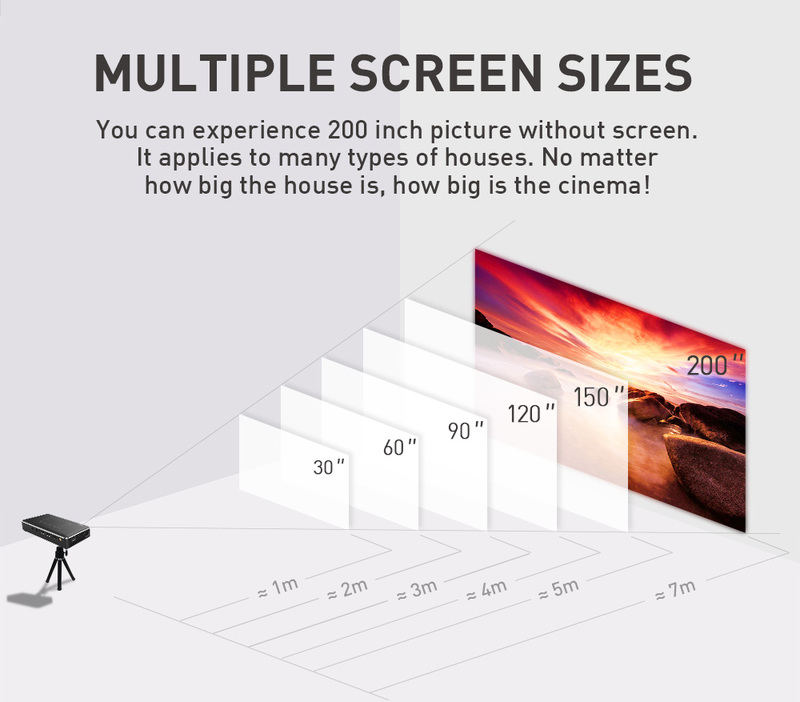 how big the house is , how big is the cinema! 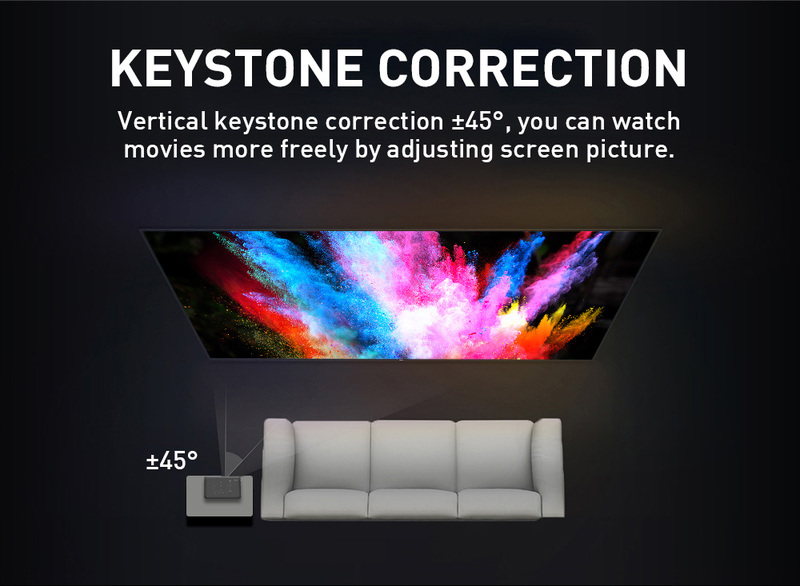 Vertical keystone correction +-45 de, you can watch movies more freely by adjusting screen picture. 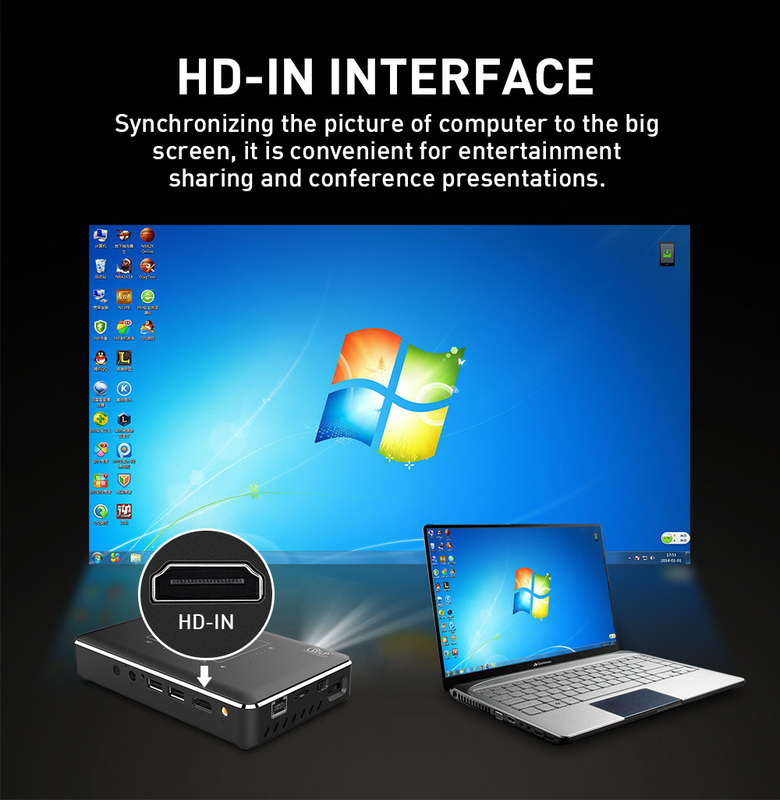 Synchronizing the picture of computer to the big screen, it is convenient for entertainment sharing and conference presentations. 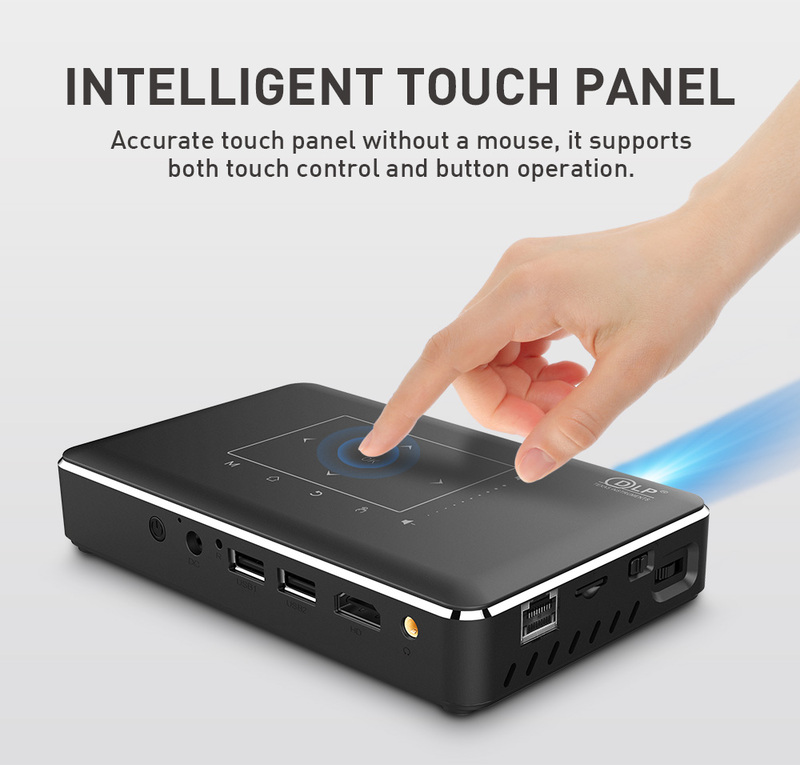 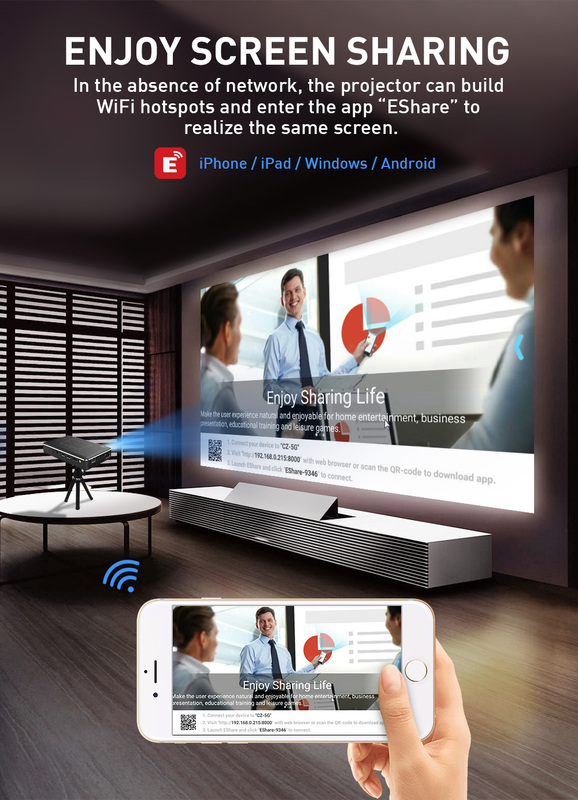 In the absence of network, the projector can build WiFi hotspots and enter the app “”Eshare” to realize the same screen. 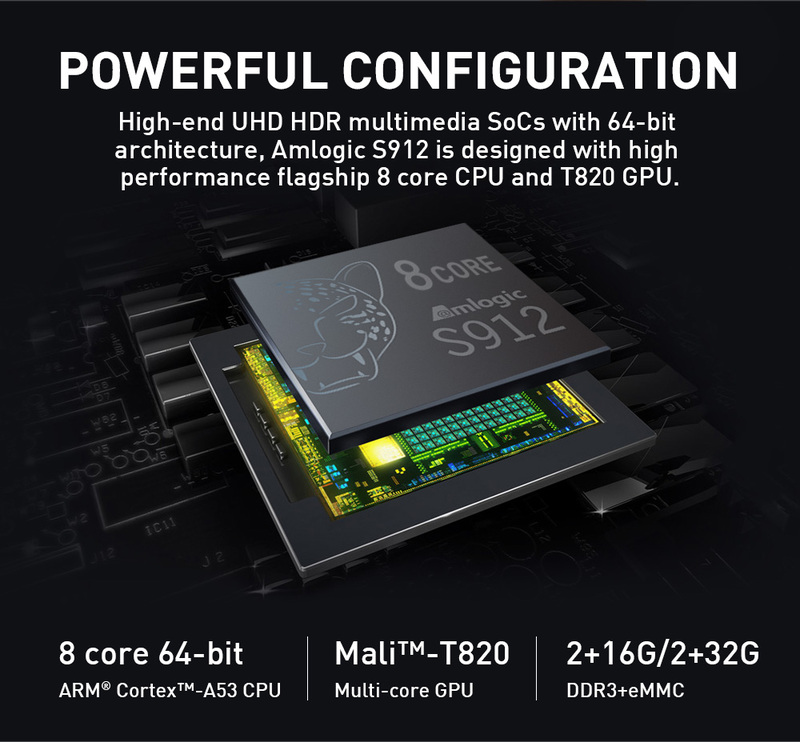 High-end UHD HDR multimedia SoCs with 64-bit architecture, Amlogic S912 is designed with high performance flagship 8 core CPU and T820 GPU. 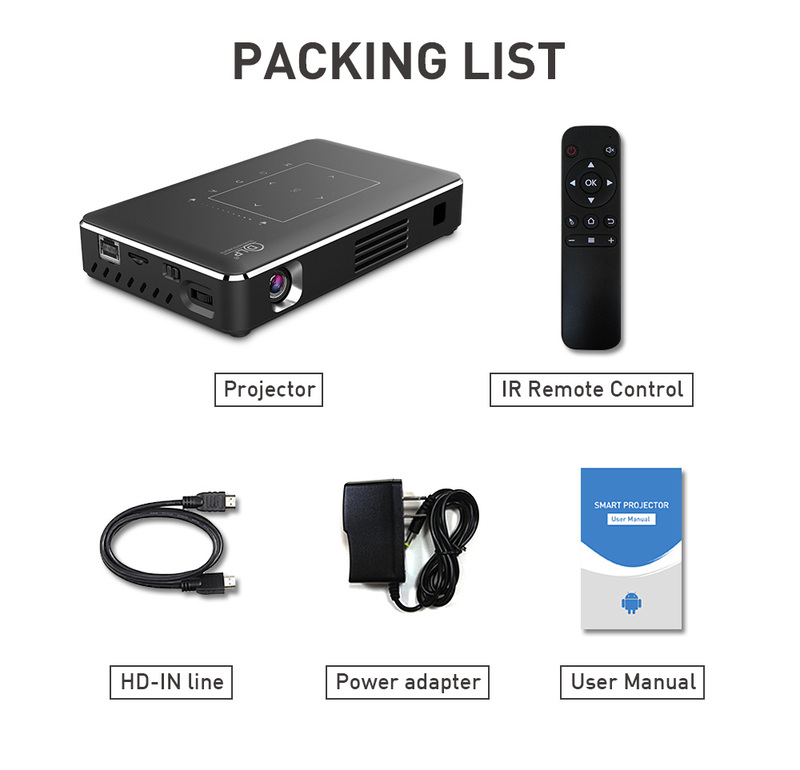 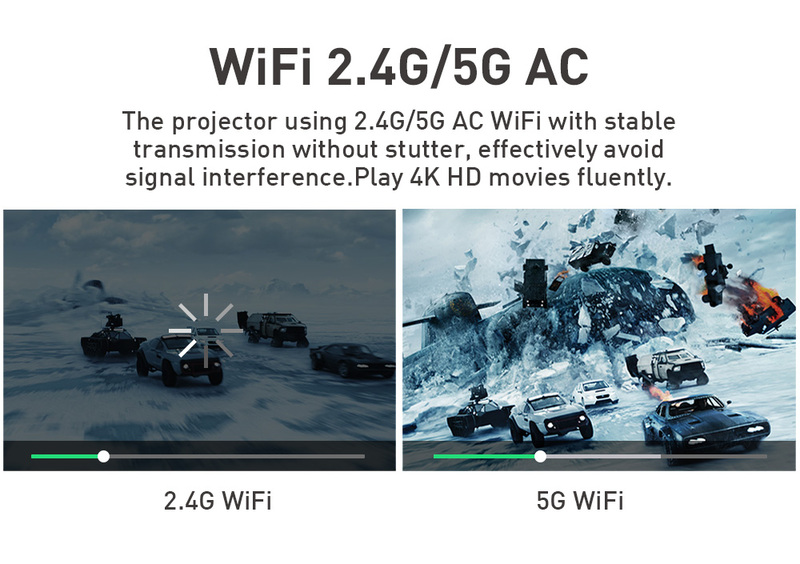 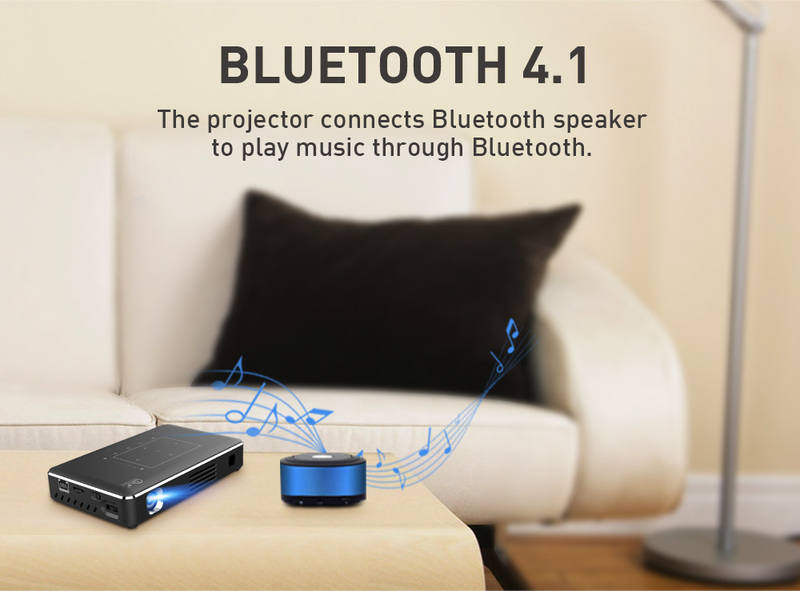 The projector using 2.4G/5G AC WiFi with stable transmission without stutter, effectively avoid signal interference. 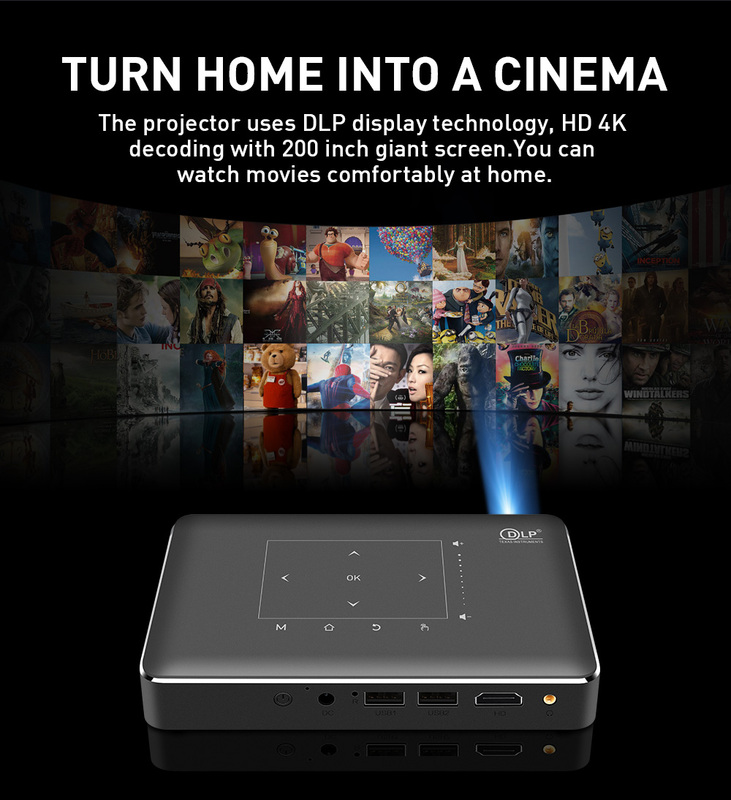 Play 4K HD movies fluently. 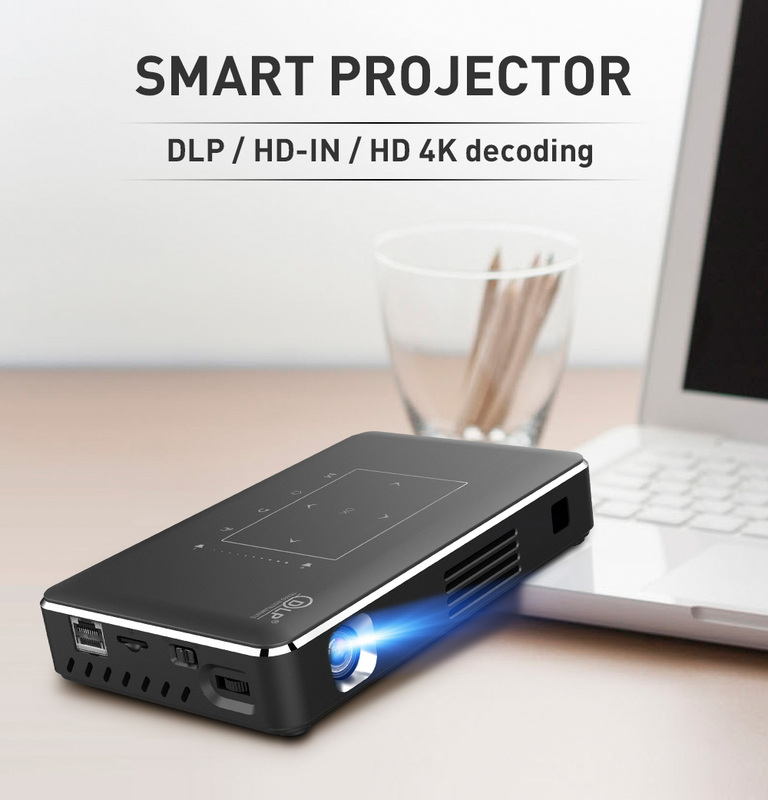 Connecting the projector with the computer or cellphone, it realizes the same screen display. 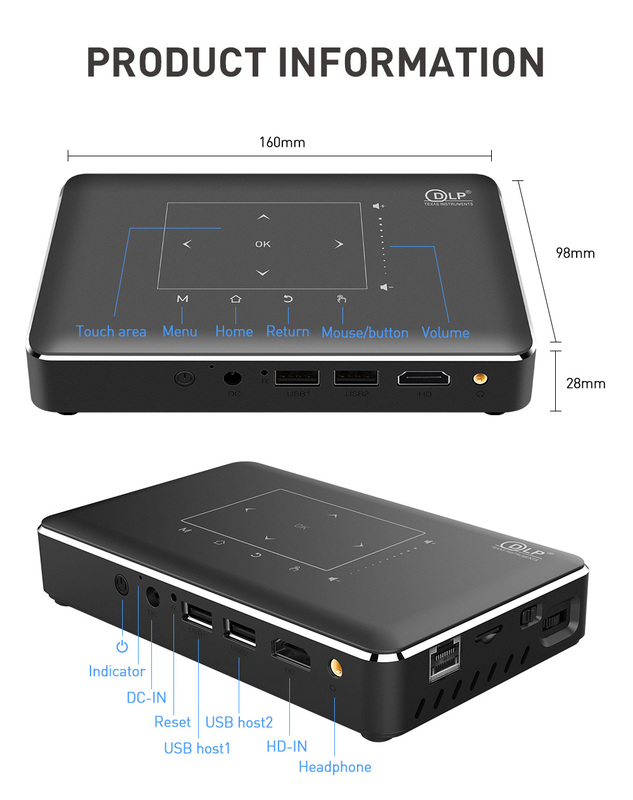 You also can plug in the U disk or connect HD-IN interface to work easily. 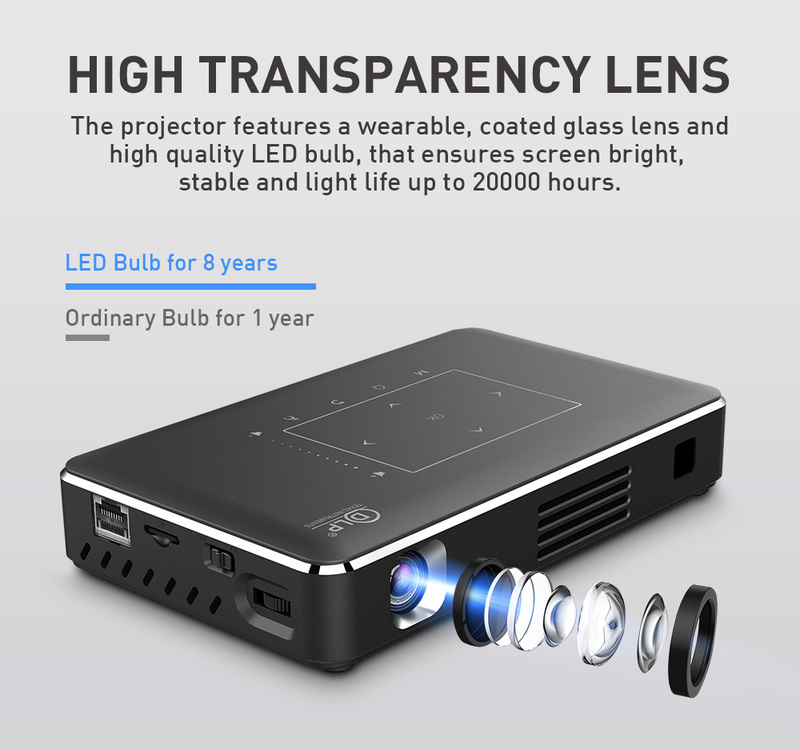 The projector features a wearable, coated glass lens and high quality LED bulb, that ensures screen bright, stable and light life up to 20000hrs.